Be the first to hear about their new releases and deals. Download the Booksprout app and search for Jillian Jones today! Jillian Jones is a writer and certified life coach who enjoys exploring the concept of hope and transformation through love in the contemporary romance genre. She is featured in Sleigh Ride: A Seasonal Romance Anthology, a collection of five contemporary and historical sweet romance novellas published by Literary Crush Publishing in October 2018. Her short stories feature in the Romance Writers of Australia Little Gems anthology, 2016, 2017 and 2018 editions. Her manuscript, #FutureWife, was highly commended in the esteemed Romance Writers of Australia Valerie Parv Award, 2018. And her first indie published novel, The Three Date Rule, is set for release in November 2018. She is a member of Romance Writers Australia and holds a Bachelor of Arts from the University of Queensland majoring in English and Art History. 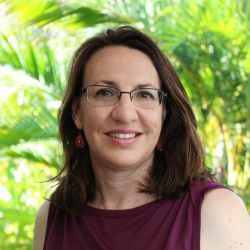 Jillian lives on the beautiful Sunshine Coast, Queensland, Australia with her incredibly supportive husband, two creative children and a demanding Devon Rex cat.